What Should You Serve with Chicken Salad? 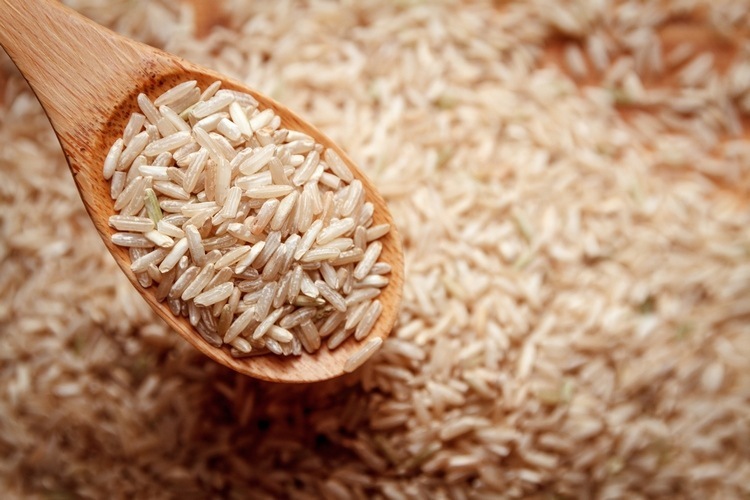 Wild rice and brown rice can be served with chicken salad. Raw, fresh green salad with light dressing like vinaigrette would pair well for a mayonnaise-based chicken salad. 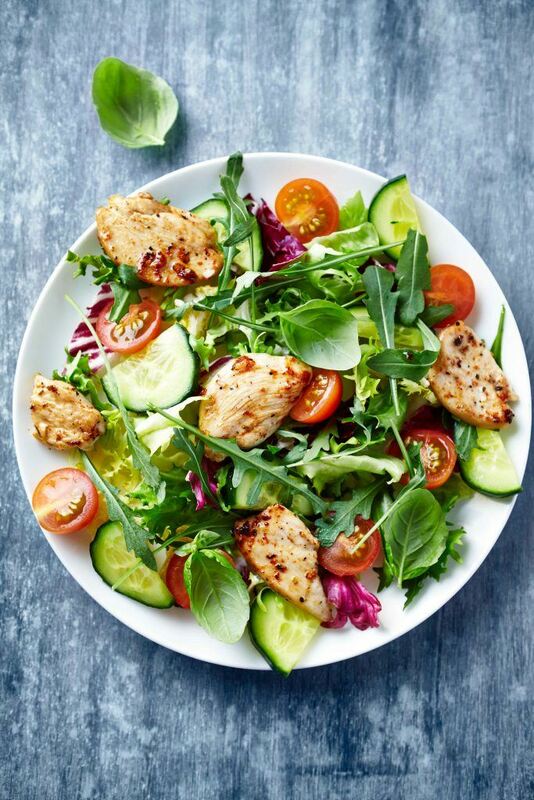 Try to avoid pairing 2 dishes with the same base (such as a mayo-based chicken salad and mayo-based green salad) as the taste will be redundant and unappealing. 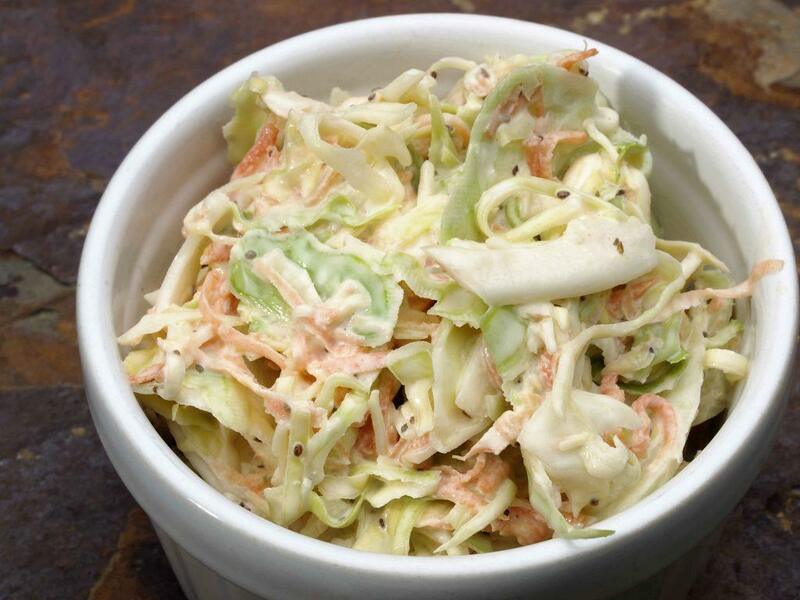 Coleslaw with main ingredients like cabbage, carrots, and onions will work well as side dish for chicken salad. A mayo or cream-based coleslaw will complement a spicy curry chicken salad as their flavors are not the same. If you’re making a chicken salad sandwich, adding lettuce leaves, slices of tomatoes and cucumber will make the dish more exciting. These add-ons are particularly matched with mayo-based chicken salad as their flavors will further enhance the taste of the recipe. Bacon goes well with anything (almost anything) – even chicken. Bacon is particularly complementing with chicken salad, especially if it’s mayonnaise-based. 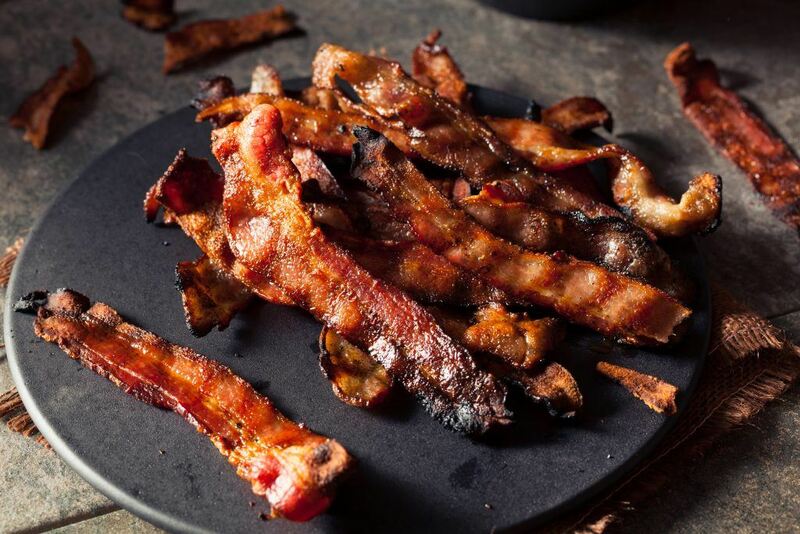 The bacon can be served as a side dish to the chicken salad or as an add-on (bacon bits work well as add-ons). The bacon’s salty taste will allow you to further enjoy the mixtures of flavors in your chicken salad recipe. 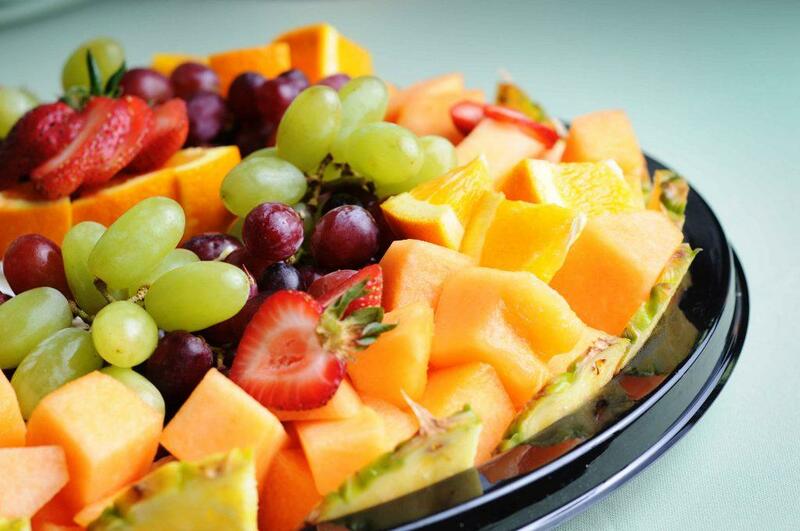 If a platter of fruits is a suitable side dish for chicken salad, so is a platter of vegetables. Unless you’re a vegetable hater, you know that certain vegetables are actually good and are enjoyable to eat raw. White wine – White wine is more suitable to chicken dishes (white meat) than red wine. Fruits smoothies – Fruits that are in season work great as smoothies. You can make banana, strawberries, mixed fruits smoothies (video) in a blender. Iced tea – Lemon teas and peach teas work well with chicken salad. Like I said, chicken salad is a versatile dish – and it can be served in a lot of ways. Listed below are just some of the ways to present it. Sandwich – Use chicken salad as filling for sandwiches. You can use something as simple as white bread or something else that’s more appetizing (in taste and presentation) like a croissant. 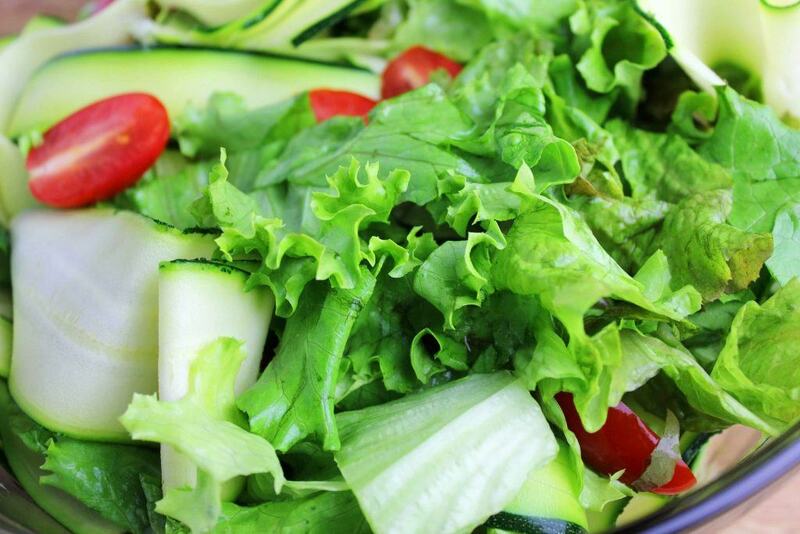 On a bed of lettuce – Lettuce leaves are really delicious as accompaniment for salads (including chicken salad). You can place as many layers of lettuce leaves as you want to complement the dish. 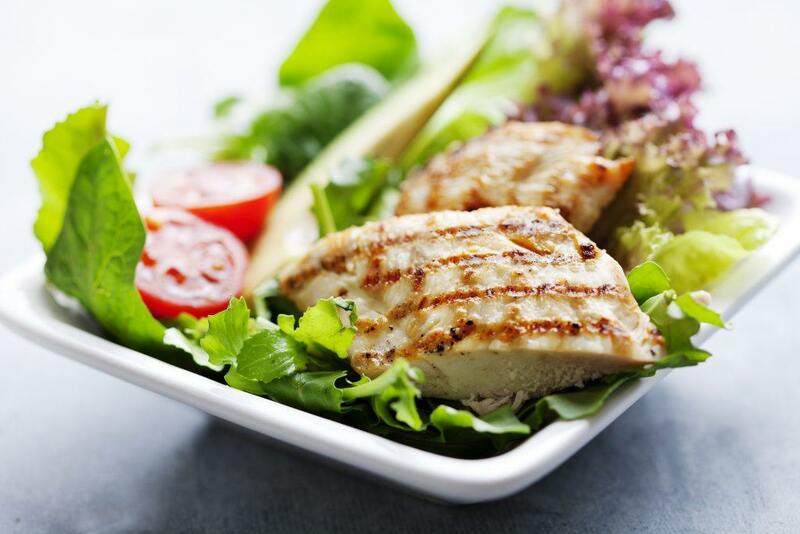 With other vegetables – There are vegetables that really taste good with chicken salad. Potatoes are particularly complementary to this dish, that’s why chicken potato salad recipes (video) are also popular. Yes, potatoes can be served with a chicken salad dish or as part of the recipe. With other meats – Chicken is a bland type of meat, that’s why adding other types of meat will enhanced its taste. Think salty meats like ham and bacon – cut into small pieces (bits) to really bring out the flavor in your chicken salad. With croutons – Made from bread, croutons are ideal toppings for chicken salad (and other types of salad, for that matter). Croutons will surely make the dish tastier and heavier as well. With main meals – You can use chicken salad as side dish to a main dish. This recipe will go well with BBQ, roasted, and casserole dishes. Q: What goes with chicken salad for dinner? A: Refer to the list above and choose main meals and side dishes that are not too heavy for dinner. Wine is particularly recommended as drinks at night. Q: What are the best side dishes for chicken salad croissants? A: Some of the best side dishes for sandwiches include soups, fruits, and vegetables. Q: What should I serve with chicken salad for luncheon? A: Side dishes that use potatoes are great for chicken salad (French fries, wedges, etc.). Q: What soup goes with chicken salad? A: Choose a soup that will complement your chicken salad recipe. If it’s mayo-based, for example, serve it with a light type of soup like carrot soup. Q: What are some of the best chicken salad accompaniments? A: chicken salad can be served as side dish or main dish. It goes well with roasted meat, pasta dishes, and potato recipes. Q: What can be served with chicken salad sandwiches? A: Chicken salad sandwiches can be served with soups, vegetables, fruit drinks and wines (preferably white). Q: What would make for a great chicken salad luncheon menu? A: A complete menu with chicken salad can include a soup dish, fruit and vegetable sides, and refreshing drinks. 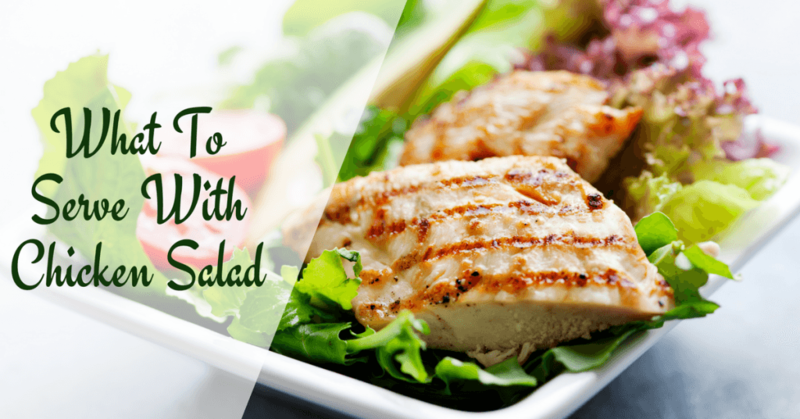 Below, I listed 3 of the best Chicken salad menu ideas that you can try at home. You will get a basic chicken salad when you combine all the ingredients together. Try it – it’s easy to prepare and really delicious. To make the dressing, combine the mayonnaise, honey, and curry powder (Amazon) ingredients. You will see that you will end with a yellowish color of dressing instead of white (because of the curry powder). Now, I suggest adding a little bit of curry powder at a time – but you can make the curry flavor as mild or as strong as you want it to be. 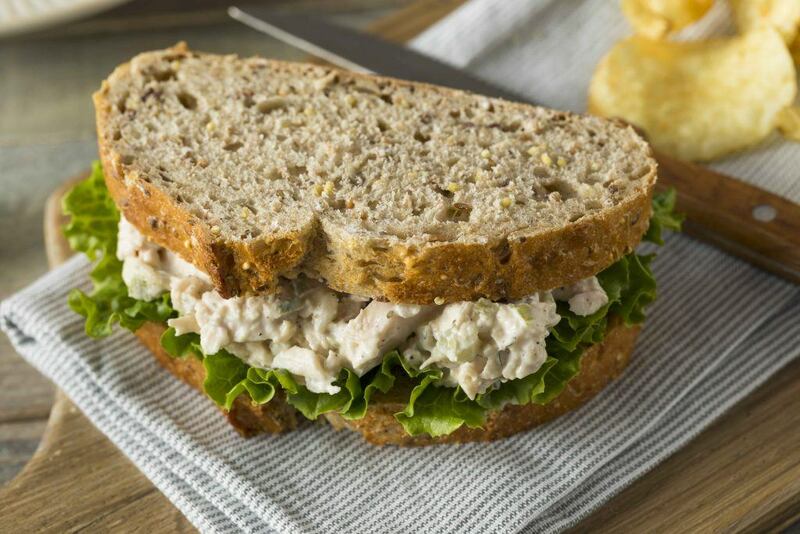 When making chicken salad sandwiches, you can use different types of bread (e.g. croissant, white bread, wheat bread, etc.). As you can see, you have a lot of options when thinking about what to serve with chicken salad. It can be served as the main dish or side dish – and it can be served with other types of meat, fruits, and vegetables. So, don’t be hard on yourself – you can serve it with any of your favorite dishes. For variety, use different types of dressings for your chicken salad. You can also include add-ons like bacon bits, cheese, potatoes, etc. to make the dish more exciting. If you liked this article, do share it with your friends. I am also excited to hear your thoughts, so leave me a note or something below.